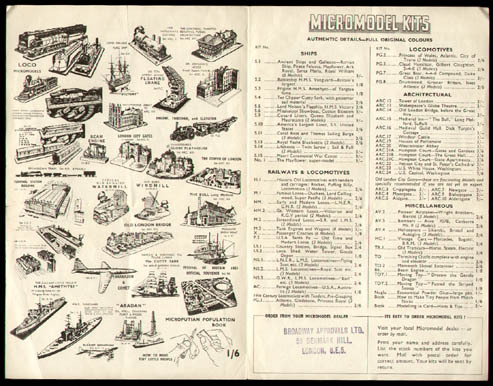 Description For 1958 Broadway Approvals transformed the layout of the catalogue Micromodel Kits. The most noticeable transformation being the use of colour. 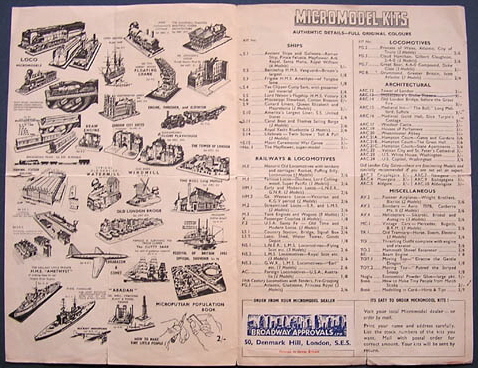 This catalogue is folded in the middle, and is approximately 30,5 x 23 cm (12″ x 9″). 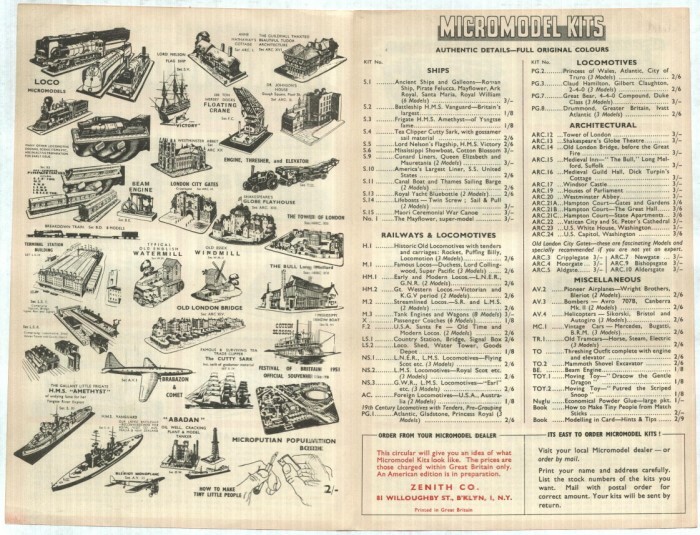 The catalogue range is much reduced from previous years and probably reflects what was available to be sold in quantity without recourse to reprinting. 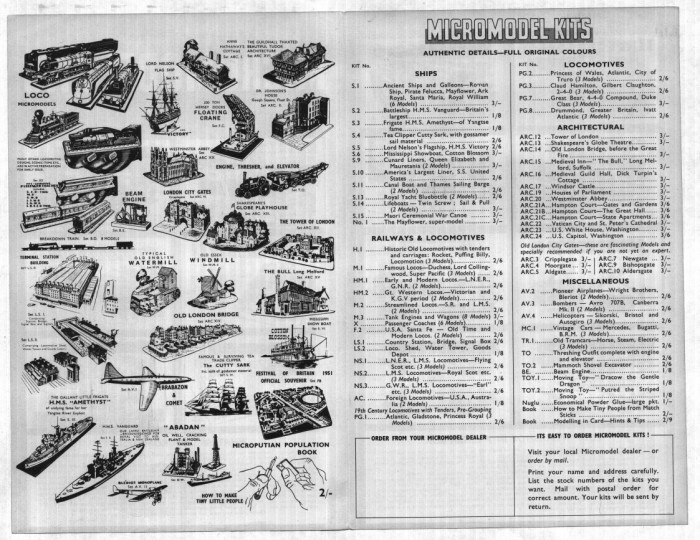 Set S I is totally re-drawn to show, instead of one sample ship, the whole set of six ships. In the list on the back all Roman numerals are replaced by Arabic numerals. 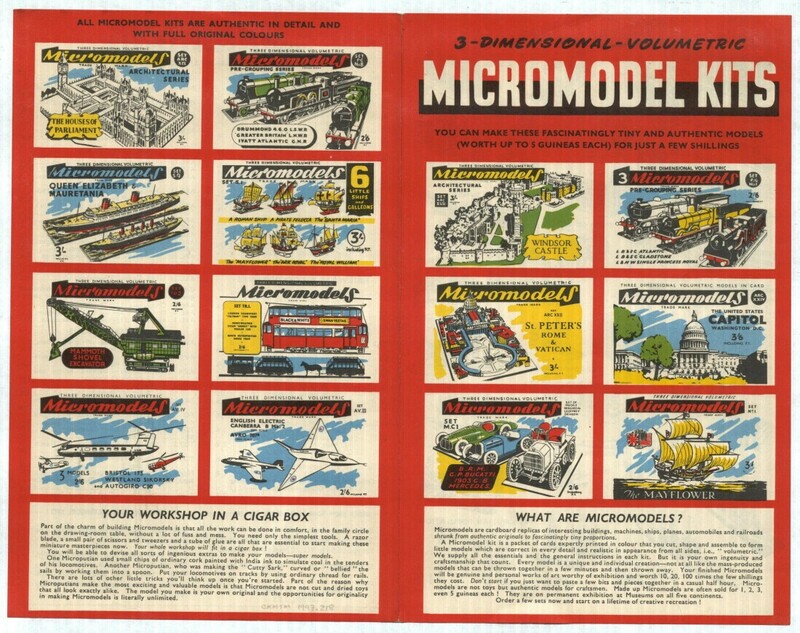 As far as we know this is purely a paper exercise, and none of these packets was ever printed. 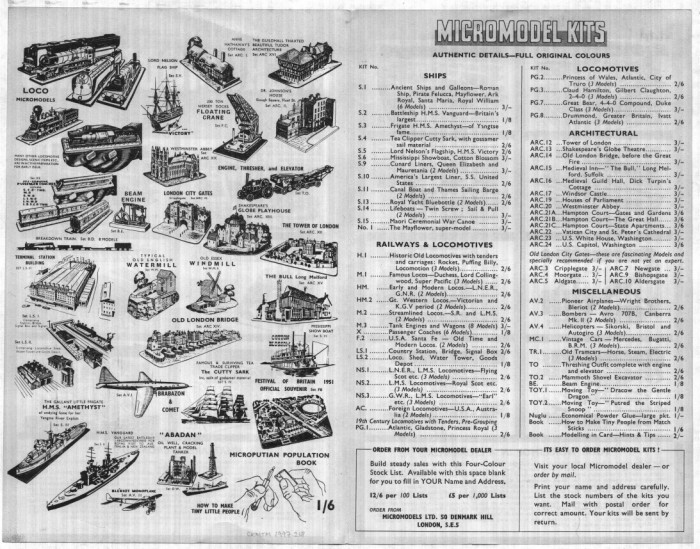 Along with the two other catalogues from Broadway, these are probably the only pieces of original artwork created by Broadway Approvals.